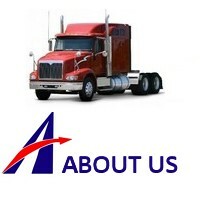 Adams Freight Forwarding Inc. is a Western Canadian based family owned and operated freight brokerage company. We are fully insured. As well, we are bonded and licensed through the Federal Motor Carrier Safety Administration (FMCSA). We operate in Canada and the United States. CFIB has over 109,000 small business owners from coast-to-coast and is a big voice for small businesses. For over 40 years, they have represented the interests of the small business community to all three levels of government in their fight for tax fairness, reasonable labour laws and reduction of regulatory paper burden.